Description: Buttons Galore Theme buttons can be used for scrapbooks, memory books, journals, frames, candles, jewelry and more. 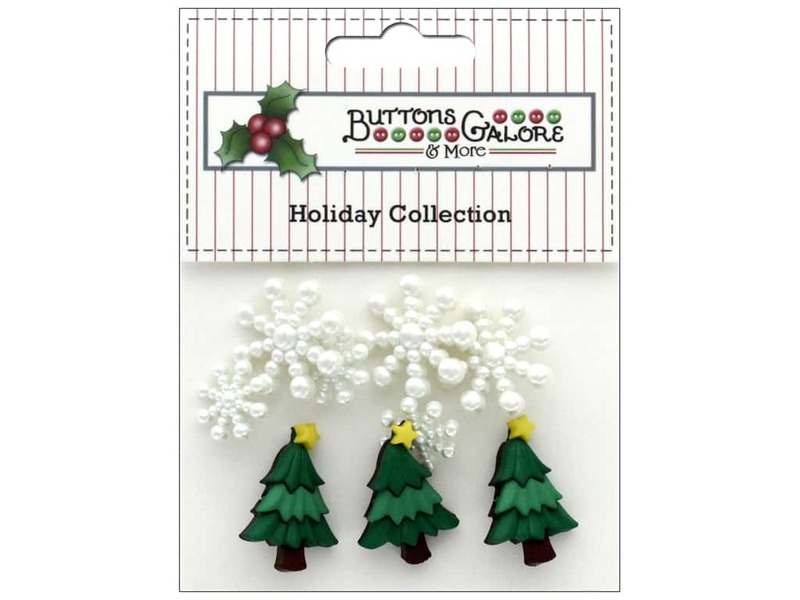 Holiday Christmas Sparkle- 9 buttons of pearl snowflakes, and trees with stars. All have shanks on the back. Colors are green, yellow and white. Largest measures approximately .75 in. x 1 in. See more Buttons Galore & More Theme Buttons. Buttons Galore Theme Button Holiday Christmas Sprk -- CreateForLess 5.00 out of 5 based on 1 ratings. 1 user reviews.